U.S. Diplomats Leave Venezuela 'For The Time Being' The embassy is closed but Secretary of State Mike Pompeo assured Venezuelans the U.S. stands by interim President Juan Guaidó and supports Venezuelans' aspirations to live in a democracy. 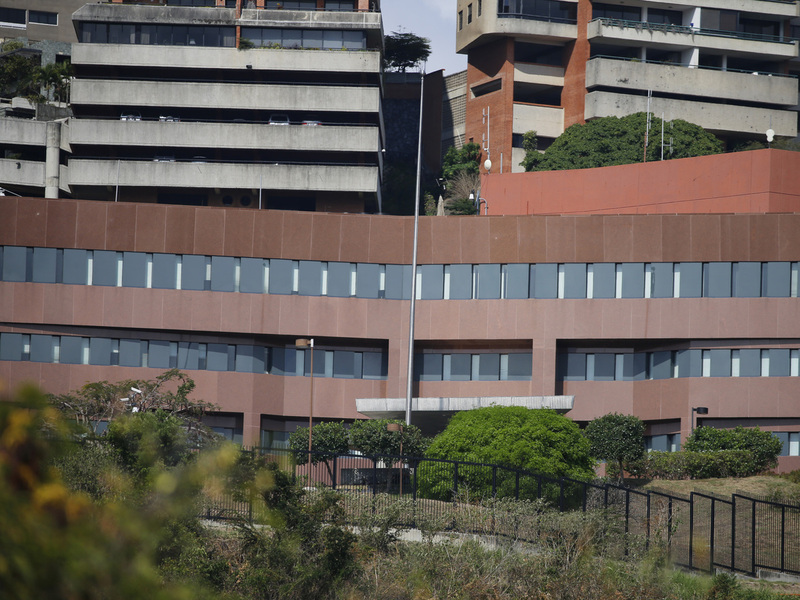 U.S. diplomats began the exodus from the Caracas, Venezuela, embassy earlier this week. On Thursday, U.S. Secretary of State Mike Pompeo confirmed the last remaining American diplomats have left the country. "They are fully dedicated to our mission of supporting the Venezuelan people's aspirations to live in a democracy and build a better future for their families," he added. Despite the personnel evacuation, Pompeo said the Trump administration maintains its support of opposition leader Juan Guaidó and his effort to oust authoritarian President Nicolás Maduro, whom the U.S. no longer recognizes as the country's rightful leader. "U.S. diplomats will now continue that mission from other locations where they will continue to help manage the flow of humanitarian assistance to the Venezuelan people and support the democratic actors bravely resisting tyranny," Pompeo said. Pompeo addressed the Venezuelan people directly in a video tweet, saying the U.S. is eager to provide them desperately needed humanitarian assistance, including food and medicine. "It's the Maduro regime which has prevented that," he said. It is unclear when American staff might return to the country, now mired in political and economic chaos. Earlier this week, Pompeo explained the decision to withdraw all diplomats from the U.S. Embassy in Caracas, "reflects the deteriorating situation" and said their presence has "become a constraint on U.S. policy." At a press conference on Thursday afternoon, State Department spokesman Robert Palladino revealed the government has revoked hundred of visas from "Maduro-aligned" Venezuelans over the last four days. "Since this Monday ... we have revoked 340 visas, 107 of which include visas of Maduro's former diplomats and their families," Palladino told reporters. He said it was part of an ongoing strategy to impose visa restrictions "on corrupt individuals who enable Maduro's theft of Venezuela's assets for their own personal gain." As of late 2018, the U.S. has revoked more than 600 Venezuelan visas.